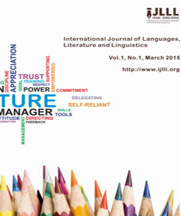 International Journal of Languages, Literature and Linguistics (IJLLL) is an international academic journal which has been gaining popularity in many parts of the world. It aims to promote the integration of research relating to languages, literature and linguistics. The focus of the journal is on publishing papers based on state-of-the-art research in a range of social science disciplines, particularly languages, literature and linguistics. Submitted papers will be reviewed by a technical committee of the journal and its supporting association. Our audience include researchers, academicians, syllabus designers, materials developers, postgraduate candidates and practitioners in the fields of languages, literature and linguistics. All submitted papers should report original, previously unpublished research findings based on empirical and/or theoretical studies. All manuscripts are peer-reviewed in order to meet the criteria determined by the Editorial Board Members of IJLLL. Manuscripts should follow the style guide of the journal and are subjected to both review and editing. Papers submitted to IJLLL must not be under consideration for publication elsewhere. Apr 12,2019 News! The papers published in Vol.4, No.1-No.4 have all received dois from Crossref. Mar 18,2019 News! The papers published in Vol.3, No.1-No.3 have all received dois from Crossref. 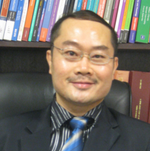 "I am delighted and honored to accept the position as the Editor-in-Chief of IJLLL. I will work together with the editorial team to bring IJLLL to a higher level of success."